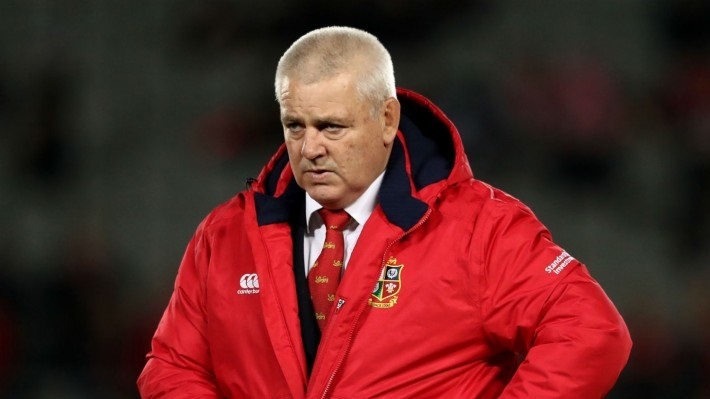 Warren Gatland will not coach the British & Irish Lions again after admitting that he “hated” the tour of New Zealand, which finished in a 1-1 series draw. Gatland, who was on the receiving end of stinging criticism from Ireland’s Sean O’Brien, said he was “hurt” by the flanker’s comments regarding the coaching regime during the series against the All Blacks. Ruling out a return to the Lions’s head coach role for the tour of South Africa in 2021, Gatland told reporters he wouldn’t “subject himself” to any more abuse. Quoted by Sky Sports, the Wales boss said: “I’m done. I hated the tour. I did. I just hated the press and the negativity in New Zealand. “When I look back on it now, there were a lot of things that were satisfying and what an achievement it was, but it was tough work. It was hard. “I wouldn’t subject myself to that [coaching the Lions in South Africa]. What I’ve learned from my Lions experiences is how difficult it is to put some continuity together in terms of people and staff, and the lack of preparation time. Last month Irish flanker O’Brien told the press that if the Lions coaching had been better they could have beaten the All Blacks 3-0. After announcing that Gatland and his team had made a “number of mistakes”, O’Brien said that “we probably should have won the tour and we probably should have won it comfortably enough”. Gatland said he had tried to contact the Irish star. “I rang and left a message to say I was disappointed,” he told reporter. Gatland told the paper that O’Brien’s remarks took a “bit of the gloss off the Lions tour”. He added: “If he wanted to say something, there’s a different forum rather than being critical [in public]. The Wales coach also said that no one in the history of the game had taken on a tour “of that magnitude or difficulty”.